Wellington, April 2: A new legislation on gun restrictions following the Christchurch shootings passed its first hurdle in New Zealand's Parliament on Tuesday. Lawmakers voted 119-1 in favour of the bill which bans military-style semi-automatic (MSSA) rifles like the ones used by a white supremacist in March 15 rampage at two mosques which claimed 50 lives. 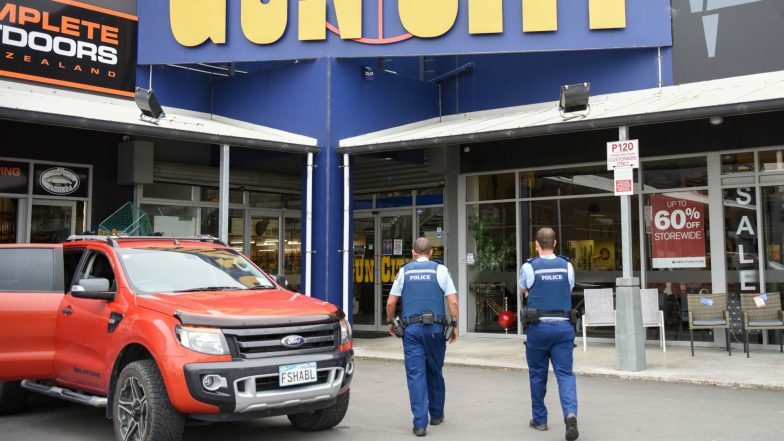 New Zealand's Police Minister Stuart Nash said the attacks in Christchurch exposed the considerable weaknesses in the country's current firearms law. According to him, the most critical weakness in the firearms law was that too many people had legal access to too many semi-automatic firearms capable of causing significant harm, Xinhua news agency reported. New Zealand Mosque Attacks Draw Planned Prince William Visit. "We are driven by one objective. We are driven by the need to ensure public safety is as strong as it can be. We are also driven by the memory of fifty men, women and children who were taken from their loved ones on March 15. Their memory is our responsibility. We don't ever want to see an attack like this in our country again. We are compelled to act quickly," said Nash. New Zealand's current firearms legislation came into force 35 years ago. It dates from the 1980s, a time when the country was more isolated from the rest of the world, he said. There were strong import controls and no Internet market place or social media. "Since this time, firearms technology has shifted, the weapons market has become global and there are a significant online community and trading environment. To bring the firearms legislation more up-to-date and substantially reduce loopholes and risk, major change is needed. This Bill takes the first steps to modernize the Act," said Nash. He said that the legislation was not directed at law-abiding firearms owners who have legitimate uses for their guns. Christchurch Survivor Tells Remembrance Service: 'I Choose Peace'. "Our actions are instead directed at making sure March 15 never happens again. Semi-automatic firearms which are commonly used for hunting, pest control, stock management on farms, and duck shooting will not be affected." Meanwhile, the government will implement a buyback scheme for the newly-banned firearms which are surrendered. The government is currently working on the details of the buyback scheme and will make announcements shortly. Prime Minister Jacinda Ardern said: "The cost of the buyback scheme would cost around 100 to 200 million New Zealand dollars." "We recognize it is a substantial amount of money but we are committed to doing this. We will find the money to do this because it's about making New Zealanders safe. We will remove these guns from our communities," said Police Minister Nash.